Young and active couple who have a large backyard and a love for animals! I have been a sitter/walker on Pawshake since early 2017, and live in the fur friendly suburb of Duncraig. My partner Daniel works fulltime and occasionally works away. Myself on the other hand, studies and works in a casual position at City Farmers. I am home more often than not and we currently have no human-babies, fur-babies or feather-babies (excluding the native Honey-eaters that often have a 'tree party' in the early hours of the morning). 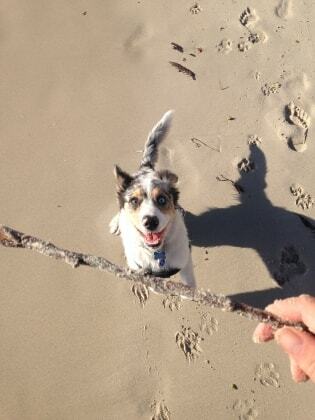 We like to stay fit and healthy, and often go for walks whether it be the coast, beach or bush! Details/Common Questions:What is included in my pets stay? - LOVE -As I am home often, your doggo will receive round-the-clock CUDDLES. To avoid any furry conflicts, I try to keep to one booking at a time, which means your pooch will have my full attention! What will I have to provide for my pet's stay? - Food - Switching dog food rapidly can upset your pooches stomach. To avoid this it is important to supply a sufficient amount of food for the length of stay. If your dog has particular treats that you would like me to give them, feel free to pack them! - Lead -Your pooch will be joining us on our explores and zoomies! If your dog has a harness as well, add that to the bag! - Toys- Bring along their favourite toys such as balls, food puzzles (kongs) and/or frisbees! :How do we know if a sitter is suitable? I have more questions to ask, how do I ask you? If you are enquiring via the Pawshake phone app, please send a message and select the dates you may be needing the services for, and ask as many questions as you would like! This is also the appropriate way to arrange a meet and greet to ensure both your pet and self feel comfortable with the home away from home! Please note that ‘sending a message’ with the dates is not a confirmed booking To secure your reservation and avoid your dates being taken from a fellow Pawshaker, I advise to request a booking as soon as possible. Pawshake will process the payment once confirmed, and the payment will be pending on my end until the end of stay date, and can be cancelled at any time (via Pawshake) before the booking start date Can’t wait to treat your fur baby as our own! Hope to hear from you soon!